Today marks my 200th post on Did My Nails! I wanted to celebrate with something special from my Big Box o' Untrieds, and Nfu Oh 51 was an easy choice. Please to enjoy an enormous picture of this stunning beauty! I'm still adjusting to seeing my hands all blown up this large, but those flakies are just UNF! Had to go big again. Nfu Oh 51 is a magical potion of flakie goodness. The colour-shifting flakes are suspended in a purple-blue base that can be built to opacity, but I'm wearing just one coat here over my go-to black, Revlon Colorstay Stiletto. I think I got a pretty good representative sample of the colours these flakies throw off, but green, gold, orange, and raspberry red are all there in abundance. Over a more purple polish, the flakies lean towards the bottle shades, and I can't wait to try that soon as well. For the first time, though, black was definitely the way I wanted to go. This was actually my second time doing this manicure today, as I had a little trouble with 51 on the first go-around. It was thick. Crazy-thick and goopy, and even with SV and a good 45 minutes of drying time, I still dinged two of my nails as if they'd just been painted. I did manage to smooth the dings a bit and gave it some more top coat, but something about that killed most of the colour-shift, so I decided to start over. This time, I added some OPI thinner and gave it a good shake before I got started, and it went much, much better. Nfu Oh recently saddened the nail blogging world by announcing that the Opal Glitter line, to which 51 belongs, is being discontinued, so I'm glad I remembered to be sure to show this beauty off before it's gone forever. There's no real word yet on what might be slated to replace this line, but it's gonna have some big--and gorgeous--shoes to fill. Thank you! I could not agree more. Can't believe they'd discontinue something this cool! I love this polish! Glad I picked it up when I did! 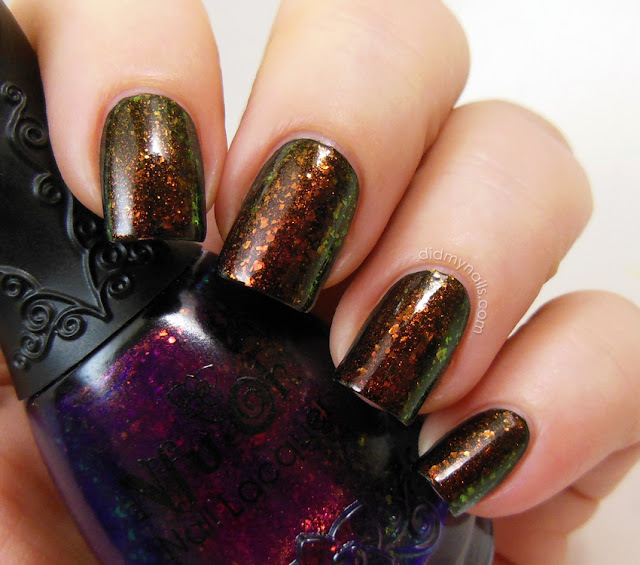 So sad that Nfu-oh is discontinuing this line-- it's their best polishes! This is so pretty! I'm sad that it's being discontinued. I kind of want to buy it just because of that. It's so awesome in person, would definitely be worth having in your collection if you can grab a bottle before it's gone. Thanks, Melissa! Thanks, Maria! I was really surprised by how slowly it dried, but then given how thick it was at first, maybe I shouldn't have been. Much better with a little thinner, though! Blow 'em up! Those flakes need to be seen!!! Thank you, Tanja! I can't even pretend to understand why they're doing it. so so pretty. that's so sad it's being discontinued. it's been on my WL forever. 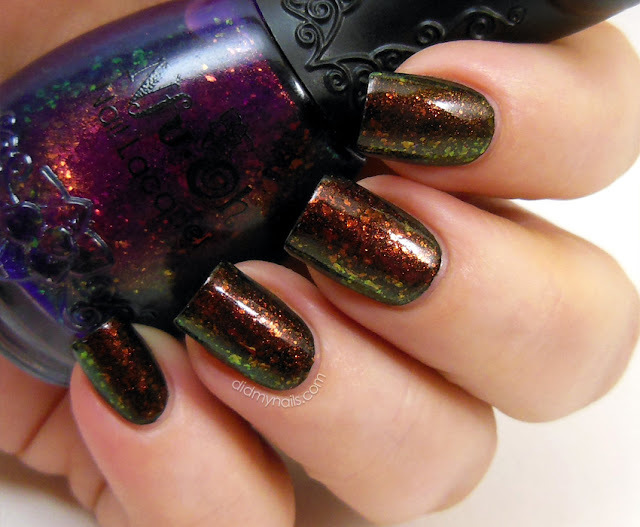 The opal glitter was the best thing, either than the holo, and the replacement line is just not impressive. I'm an Artist and I oftem use nail polish on glass or with resin. 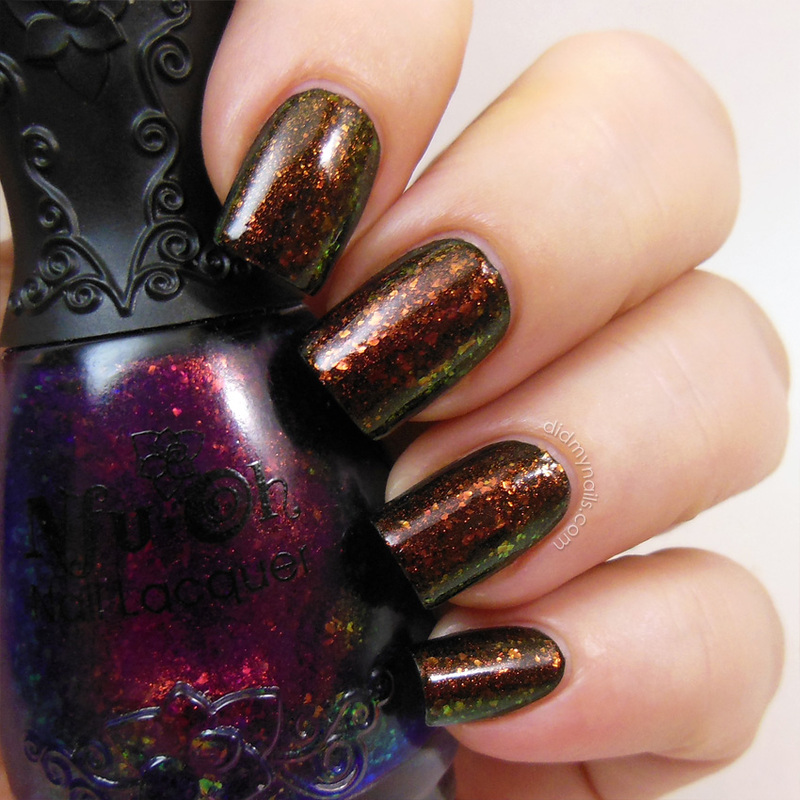 When I first saw the swatches of NFUOH's flakies/opal glitter I was introduced to #51 and fell in love with the paint. I've stockedup as much as i could on the opals that I like including over 10 bottles of #51 and many of the other opals in duplicate. The bottle itself is art, but more than the holo's, which I've found other sources for which have an even more powerful holo. Thanks for the swatches. This Polish feels like it's the color of my heart, not exagerating, It's so expensive, I had to sell 3 glass paintings I never planned to work with to afford them but it's worth it.